if you can't view this newsletter properly please click here. We are happy to bring you newsletter #2. 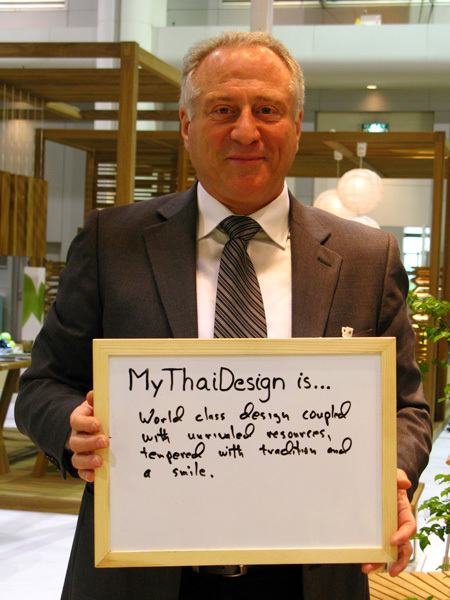 The first month of the MyThaiDesign project has been filled with new design discoveries, interviews with key industry personalities, and a visit to the Thailand International Furniture Fair (TIFF). If anything, one thing is certain, there is no shortage of creativity and innovation in Thailand! The forward-thinking industry leaders are paying close attention to contemporary social concerns that, when addressed, can add value to a brand. The strongest subject matter today is about living a green life. Are companies consciously trying to reduce waste in their production runs? What do they do with the scraps and leftovers? Are the raw materials used in manufacturing from sustainable and responsible resources? There are many questions to be asked, and the more information people are armed with, the better! Excellence in design was prevalent at TIFF 2010. The DEmark awards showcased the country’s top creations and invited new submissions from now until May 14, 2010. Other exhibitions such as ‘Waste to Wealth’ and ‘Green Furniture Factory for Sustainable Environment’ embraced both design aesthetics and the idea of being ecologically friendly. All of these topics mentioned are featured here. Click on the links to below to learn more about them, see a collection of images, watch a video, and listen to an interview. If you are a designer, please send us your latest creations; if you are a retailer, send us information about the Thai products you carry; if you are a journalist, send us clippings of your coverage of Thai design; and if you are a consumer, share your Thai design purchase with us. At MyThaiDesign everyone’s input is important! Plus, don’t forget to follow MyThaiDesign on Twitter, and become a fan on Facebook. 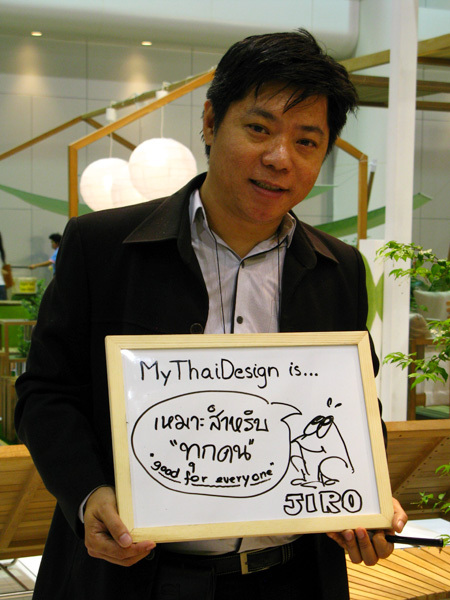 Tell the world what Thai design means to you! T-Style was presented at TIFF 2010 by world renowned design expert Toshiyuki Kita. “Waste to Wealth” is an educational exercise that urges manufacturers to practice recycling and waste management. 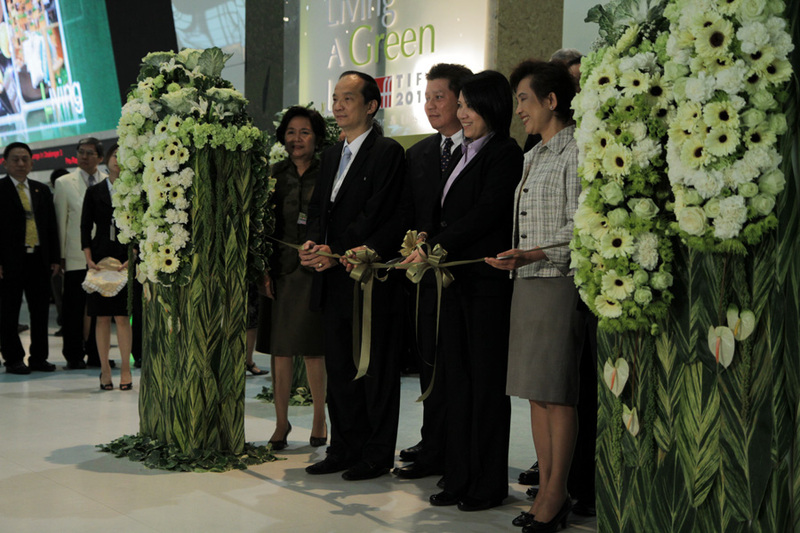 The "Green Furniture Factory for Sustainable Environment" focuses on good business via sustainable practices. Rapee Leelasiri is Chief Designer at All Art Craft Co.,Ltd. in Bangkok. 2010 sees the dual fair begin a new chapter with a new theme at a new location. Society, history, politics, economics, geography and religion – all produce unique pressures on the design process. 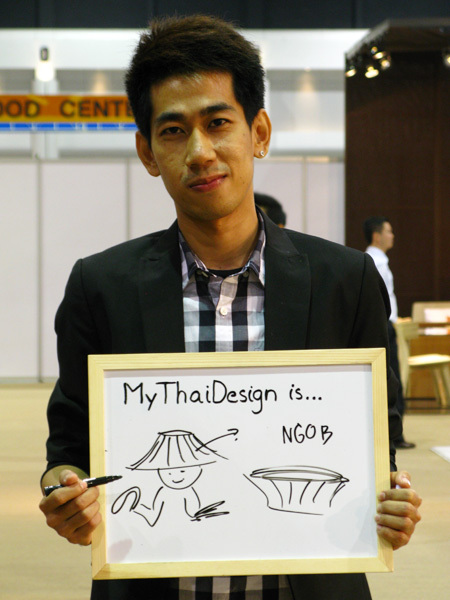 What does Thai design mean to you? 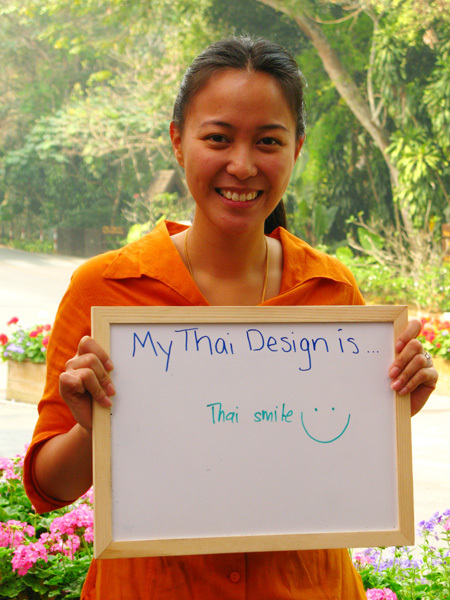 Our hostess, Jennifer Castoldi, has long admired design from Thailand because of its responsible design and sustainable development, in addition to its pleasing design aesthetics. Join Jennifer as she takes us on a journey to discover inspirations from TIFF, the international furniture show scheduled to take place from March 10-14, 2010.
www.MyThaiDesign.com - To unsubscribe please click here.